This report defines, segments, and projects the aerospace plastics market based on polymer type, aircraft type, application, and region. It strategically profiles key players and comprehensively analyzes the ranking of the leading market players. It also tracks and analyzes competitive developments such as expansions, new product launches, and agreements in the aerospace plastics market. This report is expected to help market leaders/new entrants in the market by providing them the closest approximations of revenues of the aerospace plastics market and its subsegments. It is also expected to help stakeholders obtain an improved understanding of the competitive landscape, gain insights to enhance the position of their businesses, and enable them to make suitable go-to-market strategies. 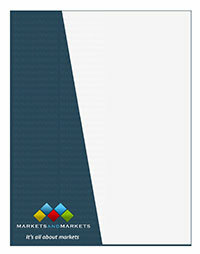 The report is expected to help stakeholders understand the pulse of the market and provide them with information on key market drivers, restraints, challenges, and opportunities.